A holliday home situated in the country of Campos, very near of the virgin beaches of Es Trenc (7Km).The finca Los Girasoles is for 8 people, buf if you want suplements beds, ask as.You can enjoy there, swimming in it’s own swimming pool, or wathever you want. 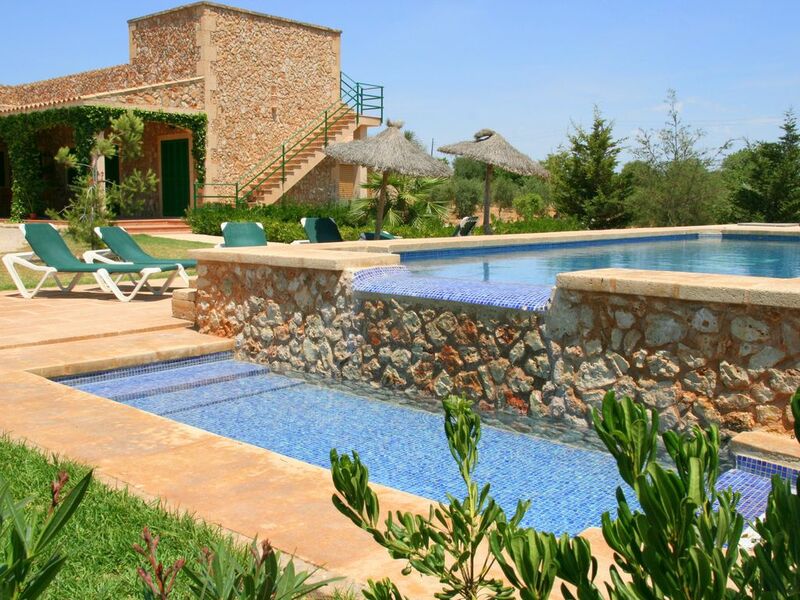 A big swimming pool for childrens and adults,a big garden, and sun-beds for enjoy your free time in Mallorca. It's 3,5 km far from Campos, and 7 km far from Santanyi, If you come from the airport you have take the motorway to Santanyi.